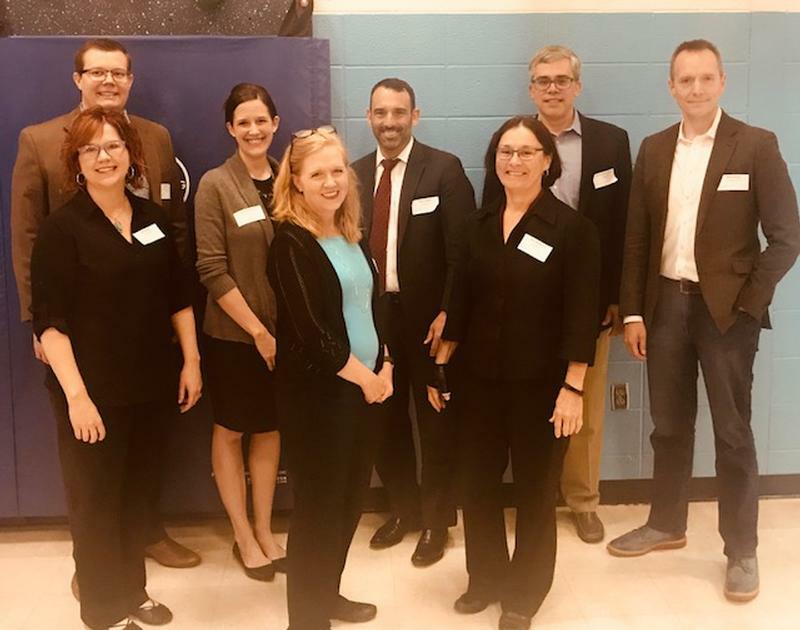 Once again, legal professionals from Greene Espel and Securian Financial Group, Inc. volunteered to teach basic economics and financial literacy to fourth graders at Phalen Lake Elementary School in St. Paul through Junior Achievement (JA). JA offers financial literacy, college and career readiness, and entrepreneurship education to K-12 students in Minnesota, North Dakota and western Wisconsin. JA empowers students to make a connection between what they learn in school and how it can be applied in the real world – enhancing the relevance of their classroom learning and increasing their understanding of the value of staying in school. Securian Financial Group, Inc. is an insurance and financial services company providing a range of products and services to more than 16 million clients in the Unites States. Products include retirement plans and investments. Greene Espel has had the honor of advising and representing Securian in a variety of matters over the past ten years. Pictured Clockwise From Left: Thomas Cutts (Securian), Ginny McCalmont (Greene Espel), Matt Forsgren (Greene Espel), David Wallace-Jackson (Greene Espel), Mark Johnson (Greene Espel), Beth Wiederholt (Securian), Robin Lenarz (Securian), and Alison Bakke (Securian).